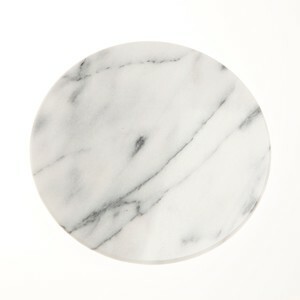 25 cm diameter round white marble cheeseboard with a beautifully curved edge. A great gift for the cheese enthusiast in your life! 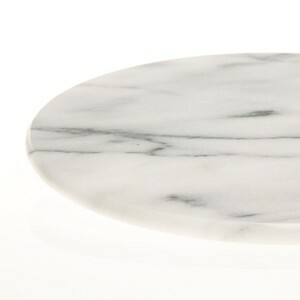 Personalise this cheeseboard with a message of your choice. We recommend text runs around the edge of the circle. 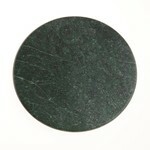 As you can see from the images the naturally occurring swirls and veins of colour in this stone vary from piece to piece. If you would like to see the actual cheeseboard we will be engraving for you please give us a call and we will be happy to email over an photo before we start work.